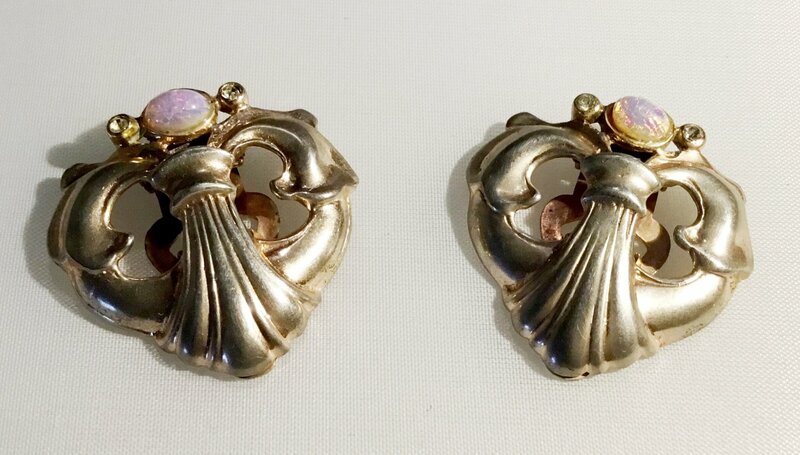 This vintage 1930s pair of dress clips is all sterling with a gold wash that is thin on the clip fronts. The 1 3/16" tall clips are quite weighty with lovely clip backs with scrollwork detail. Opaline glass cabochons show a lively color display.